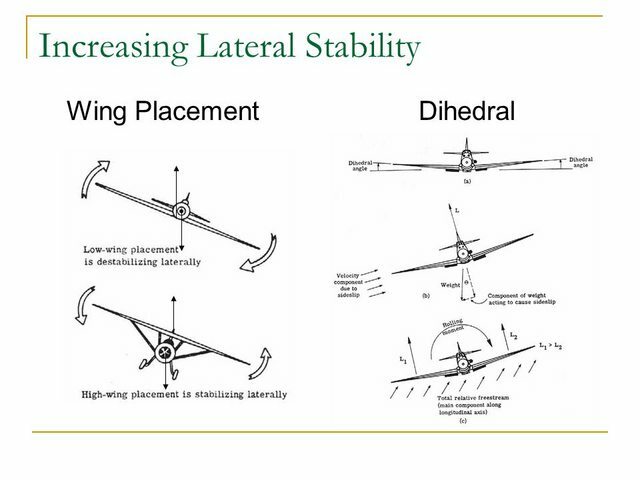 Maybe you're misunderstanding me, I mean the position of the wing when viewed from the front, not from the top. Oh that. Well I built some gliders from kits(pretty good ones, balsa wood with proper wing structure and fuselage) when I was a kid and most of them had this so I kept it here, plus the tail wing is small so I thought it might add stability? 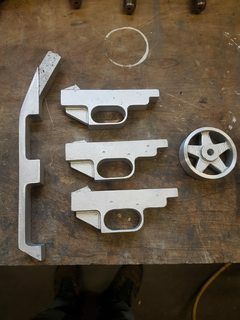 Been using lost foam to produce some parts for an upcoming air rifle build and finding it to be a very interesting and potentially useful process....it's also easy beyond reason to produce parts that require little further machining. Well worth digging into. What are you using as a mold material, sand, plaster? 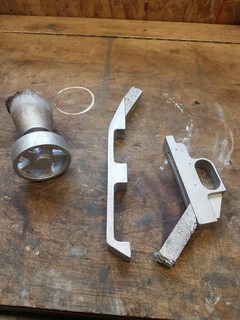 I had a friend who once made a TKOR style furnace and we tried lost foam casting aluminum but they always came out so grainy and rough. Do you coat your foam in a porcelain or plaster before embedding it in sand? Or did you just find the finest sand possible? Wheels are for the furnace. Damned feet keep getting in the shot. Coating the foam with thinned drywall mud. The pre-mixed, non setting stuff made for doing the finishing coat. Don't have a viscosity gauge, but it's thinned somewhere between table cream and milk. Add a few drops of liquid dish soap and it'll wet the foam and wax (used to fill imperfections and create fillets). 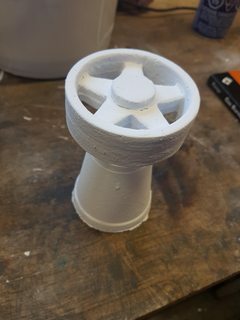 I was expecting the undercuts of the wheel pattern to cause a failure so this was a test using a "spare" pattern...no attempt to fill or clean it up beyond a quick sanding. A good idea to set the sprue such as to avoid undercuts...helps the sand get in there to support the coating and avoid blow outs. 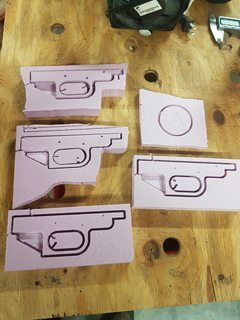 Have been making the patterns on a hobby cnc 3018 from rigid insulating foam because it's workable/sandable and using the white bead foam for sprues. However you leave the surface of the foam when you start coating is what will be reproduced when cast. CAD and CNC make allowing for shrinkage pretty easy too. Using foam cups as a pouring basin/pressure head. I"m using sand from the hardware store...sold as "Play sand". Does need to be dry. The mere mention of KOR sends a shiver of "sketchy" down my spine. He might be popular, but IMHO there are far better places to go if you want to learn how to do something. Lots of good information regarding furnaces, refractories and casting methods on Alloy Avenue and The Home Foundry sites as well. Gippeto wrote: Damned feet keep getting in the shot. Running that thing outside at this time of year must be fun! Huh, much cheaper than I thought! 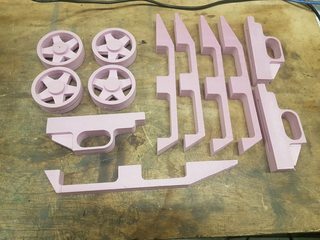 Would it be frustrating to set up an run for someone with zero CNC experience? Not too frustrating really, but there is a learning curve and mistakes will be made. IMO it's a good starter machine to learn basics...it doesn't seem to have enough power to actually hurt itself which makes the inevitable crashes far less costly than a more capable machine where things would get bent/broken. Takes 3hrs or so to assemble the bits, then some time with a dial indicator to true things up decently. I suspect a machinist square could also be used to get "close enough" for most things, not going to be holding .0001" tolerances. I'm using Fusion 360 to do the bulk of the CAD/CAM and Universal G-code Sender (UGS) to send the gcode to the machine. Both are well supported with answers to questions a short Google away...IIRC, you're pretty fair with the Googling. Youtube will provide plenty of tutorials as well. Depending upon what you're wanting to do, Inkscape and Image2Surface might be handy as well. The Z travel is what I'm finding to be the biggest limitation. 40mm total, but with a piece of 1" foam spray glued to the tape on the table there's not a lot of room left once the cutter clears the work. The X and Z axis will try to flex out of the way if you push the machine...it is what it is. Does fine with foam, haven't tried engraving anything yet. Thanks for that! I would also have the "lost PLA" option to consider with 3D printing but no place for a furnace for the time being. Another item on the list of essentials to consider for the future workshop. You could also pre heat the mold to remove/clean out the model material, reducing possible bobbles and impurities inside the finished cast. You could even cast steel parts if you use ceramic shell and pre heat. Some wax can be easily machined to good surface finish and detail, actually one of the methods for precision production of parts.